BoxBrosLA/Goodman Shipping is proud to be part of the Frogtown(Elysian Valley) Community and a venue(#41) at this year’s Art Walk.. Our LA Shipping Center at 3009 Gilroy St. is located in the heart of Frogtown, and is a venue(#41) in this year's Frogtown Art Walk on Sept. 22 between 4pm and 10pm. We will be exhibiting paintings by Robert Gutierrez and Sage Gallon. Stop in to see his work, meet the artists and talk with them about their work or just say "hi"... it should be a wonderful event! 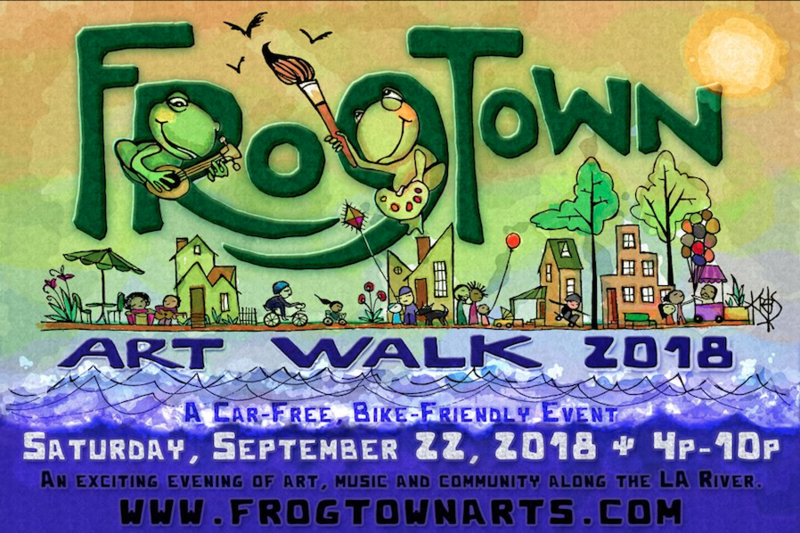 The 2018 Frogtown Artwalk is brought to you by the Elysian Valley Arts Collective (EVAC), the City of Los Angeles’ Department of Cultural Affairs, and is co-sponsored by LYFT, LA City Council District 13 and Councilmember Mitch O’Farrell. Stroll, bike, or hitch a ride on a series of FREE pedicabs along the LA River path to move from location to location. The aftermath of Tropical Storm Florence is still causing some service disruptions in the Carolinas. Our contingency plans are in place and, as always, our priorities are the safety and well-being of our team members and minimizing the effects of potential storms on service. FedEx will be prepared to provide service to the best of our ability in areas affected by the storm and as local conditions allow. Up to date information on Hurricane Safety and weather advisories can be found at the National Weather Service. To help avoid delays, we encourage you to contact your recipients to verify whether their location is open or able to receive deliveries. Note that potential service disruptions may not affect FedEx Express, FedEx Ground, FedEx Freight, FedEx Office, etc. the same. This may result in different levels of impact as well as cities, states, and ZIP Codes serviced. Continue to check https://www.fedex.com/en-us/service-alerts.html for service updates. For specific shipment status information, you can track your BoxbrosLA Fedex/UPS/USPS/DHL shipments here. Save 10% on packing & Shipping...Don't spend the Holidays in lines... No waiting at our LA shipping Center! Why spend the Holiday season standing in line? Our LA Shipping Center is open to make Holiday Shipping easier. To make things more convenient, let us do the packing (we're experts), or buy boxes and supplies from us and DIY! Either way, a WIN/WIN situation, and it saves you time so you can enjoy, not wait. we can accept & sign for all your (including) FEDEX and UPS packages so you don't have to sit at home and wait. We're here to make this years Holidays the best ever! David, Coby . . .
As hurricane Harvey approaches the Gulf coast of Louisiana and Texas, all major carriers may encounter disruptions of service. We have placed links to their sites so you may get the latest info. And as always you can use our Online Package Tracking Tool to check the delivery status of your package. The U.S. Postal Service is monitoring conditions in Louisiana and Texas as Hurricane Harvey gains strength. The storm, expected to become a Category 3 hurricane, is beginning to impact the Texas coast. It’s predicted to cause major flooding described as “catastrophic” as well as high winds. Residents are being urged to evacuate areas in the path of the storm. Postal operations in the region are impacted. With Hurricane Harvey making landfall in areas of Louisiana and Texas over the weekend, our team continues to assess local weather conditions.